I saw this somewhere on Pinterest a while back and gave it a try. 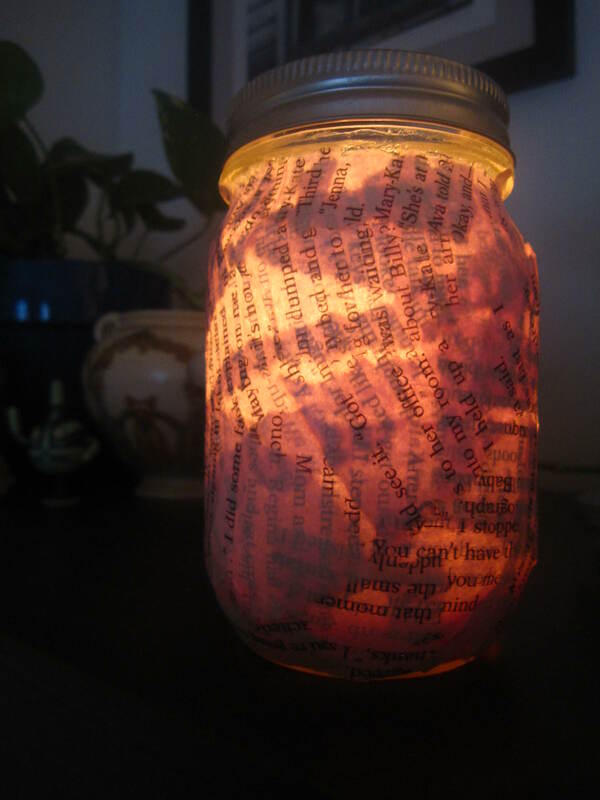 A mason jar covered with pages from a book and sealed with Mod-Podge. Boom. Posted in Crafts, DIYBookmark the permalink.